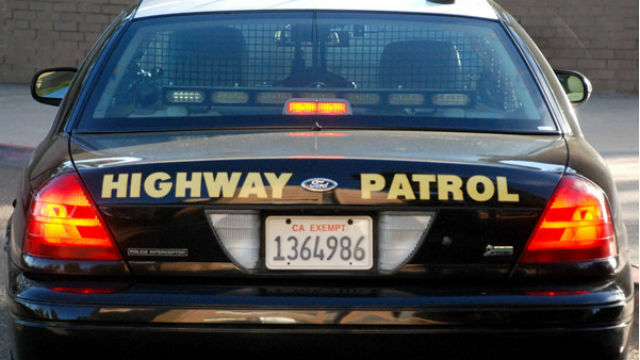 A tire blowout caused a pickup truck to knock a light pole into traffic lanes on Interstate 805 Monday. A red pickup truck suffered a tire blowout, spun and smacked into a light pole just before 12:50 p.m. on northbound the northbound 805 near Imperial Avenue, according to the California Highway Patrol. The three people inside the truck were not injured, but the pole ended up blocking the right two lanes of the freeway, according to the CHP. A SigAlert was issued, and crews worked in the early afternoon to remove the pole.